The people of Logan are a close-knit community that makes new residents welcome. It is a growing community with many opportunities. 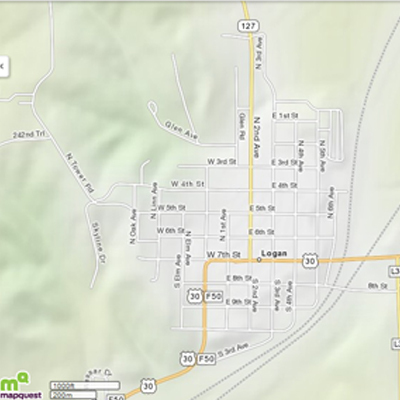 Logan is the county seat for Harrison County with a population of about 1500. It is located about 30 minutes from the Omaha/Council Bluffs metro area which has an international airport, a baseball stadium, several convention centers, and a world renowned zoo. Harrison County is part of the Council Blufffs-Omaha Market Statistical Area (MSA) - the largest econmic engine in Iowa. The Logan community is blessed with many healthcare rescources including a doctor's office, pharmacy and many other local services. There is a hospital just a few miles away in Missouri Valley, IA. What about education in Logan? The Community is very proud of the progress and growth of its school system. Logan-Magnolia Community Schools are a great environment for children as well as a great experience for parents. A smaller student to teacher ratio allows for more one on one individual time. There are more opportunities for students to participate in activities such as sports, music, and band due to the smaller school environment. Not sure what Logan has to offer its citizens? Everything the residents of Logan should need are right here in town. There is a library, post office, pool, a beautiful community center, great police department, and a dedicated volunteer fire department. Not sure what to see while you are visiting Logan? There are many local attrations such as The Loess Hills, The Logan-Missouri Valley Country Club, and Harrison County's Historical Village and Welcome Center and the historic Harrison County Courthouse. Ever wonder how Logan got it's start? Learn how Logan got its start, it's name, and see some great pictures of the early days of Logan. Contact the Chamber of Commerce or a city council member.